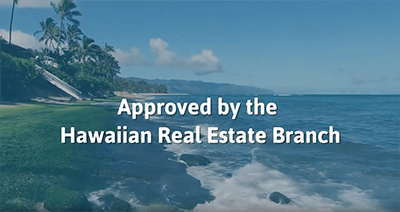 This course contains 12 hours of continuing education training that is intended for real estate professionals in the State of Hawaii. This course addresses the topic of ethics. Specifically, the course will examine the concept of ethics, discuss the benefits of acting ethically, and examine the ethical duties owed by real estate professionals. This course takes a look at errors and omissions and how they affect real estate professionals. This includes an exploration of different kinds of errors and omissions and a presentation of different methods for dealing with potential and actual errors and omissions. The content of the course talks about fair housing. This comprises both a discussion of the history of housing practices and an overview of the federal laws that enforce and support fair housing efforts. Finally, the course explores the TILA-RESPA Rule and the TILA-RESPA Integrated Disclosure (TRID) forms. The course will examine the rule, the forms that were implemented by the rule, and the rules and regulations governing the use of those forms.